The K2 Power 165KRC 6-1/2" speakers bear the hallmarks of Focal's "Power Hi-Fi" philosophy. 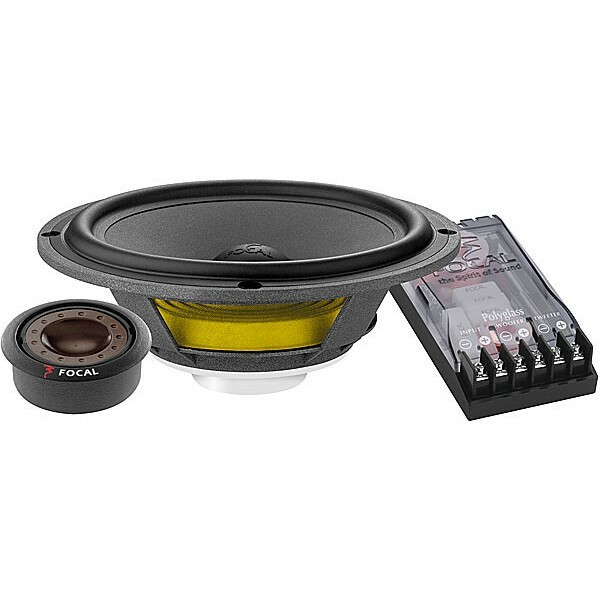 Nimble woofers, made from Aramid, foam, and glass fibers, demonstrate the control needed to reproduce delicate classical passages, yet they'll handle the power needed to drive your bass-heavy music with authority. The sturdy zinc-aluminum alloy baskets are non-magnetic so they won't interfere with the speaker's own electronics. Focal's inverted dome tweeters act like little woofers, dispersing the highs in a wide pattern to create an exceptionally natural soundstage. 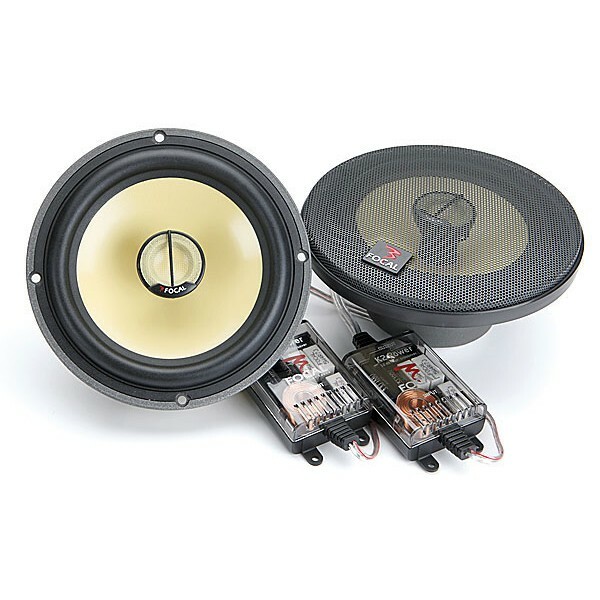 The external K2 Power crossovers use hand-made components developed by Focal to deliver an ideal blend of the highs and lows for a dynamic stereo image. Three levels of tweeter control let you dial in the sound to your car's environment.